EUR/USD is in a downtrend, after peaking at1.5146 (Nov.25,2009). 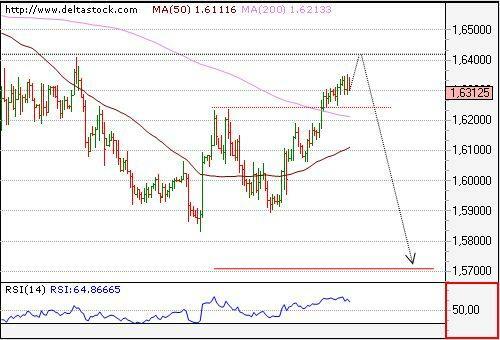 Technical indicators are neutral, and trading is situated between the 50- and 200-Day SMA, currently projected at 1.4793 and 1.4169. With the recent break below 1.4450 support, there is a chance that a top is in place at 1.4580 and it can be the final of the prolonged consolidation above 1.4216. A clear break below 1.4260 will state, that the focus is set on the 1.3740 support from the daily frame. 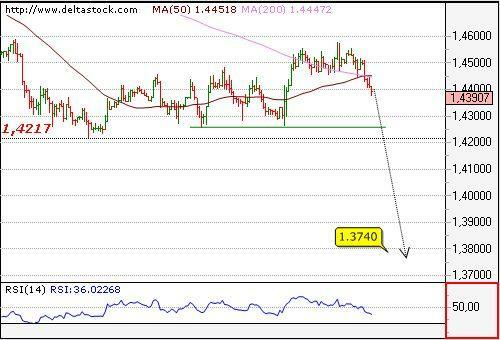 Intraday bias is negative with a resistance around 1.4450 and target at the 1.4312 dynamic support. 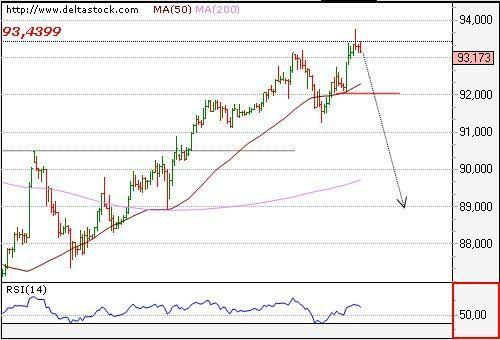 The expected reversal is already a fact at 92.04 high, so the overall bias is negative for 88.90 target area. Intraday crucial level is 91.32. Take a look at the JPY crosses, as they could be more profitable, than the major itself. Current bias is still positive for 1.6410, but a reversal seems possible around that zone, so keep an eye on 1.6240 support, as a break below will signal, that a top is already in place.